JDC - Archives : A goalkeeper stops a goal in a football game in Camp Foehrenwald. Title A goalkeeper stops a goal in a football game in Camp Foehrenwald. 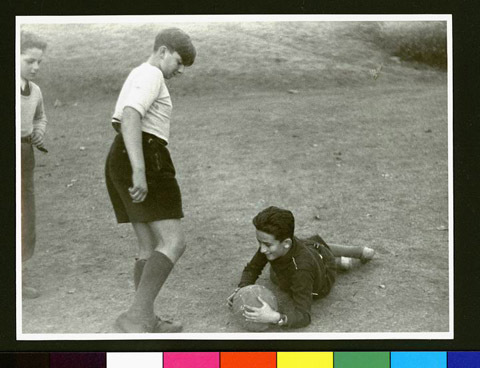 Description The goalkeeper in a football game in a recreation camp for young refugees living in the Foehrenwald DP Camp located southwest of Munich, near Wolfratshausen. The camp was the last one to close in 1957.